Every company, whether a large enterprise or a mom-and-pop store, is at risk of an IT disaster. Almost every business stores data electronically. So, ask yourself: Have you considered the impact of a flood, an earthquake, hardware failure, or a cyberattack on your business? How essential is disaster recovery to your operation? The Small Business Administration claims that 90% of companies fail within a year if they can't get back up and running within five days of being struck by a disaster. A backup and disaster recovery (BDR) plan is the initial and most crucial step in any business's IT growth plan to succeed. And for most small business owners in San Jose and the San Francisco area, focusing on the "3 Ps of business IT success" is all it takes to build a great backup plan. If you are backing up data to the cloud, it should be protected by firewalls and advanced encryption systems. Unlike everything else on this list, cybersecurity cannot be revisited once or twice a year. Cloud backups need constant monitoring and protection. The BDR plan you finalize must be written in unambiguous language that all employees can understand. It must include a document that provides clear instructions on how the workforce should respond to a disaster. Distribute and conduct training to ensure that each staff understand their roles by simulating a potential disaster. You also need to ensure storage limitations never hinder your plan. Cloud backup solutions should be able to accommodate anything a small- or medium-sized business (SMB) would ever need. 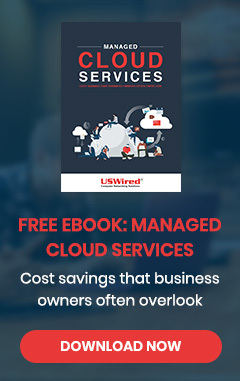 USWired adds value to these platforms by ensuring that your BDR plan's tech support team designs a solution that scales up without wasting money on unnecessary storage. Your BDR plan needs to contain a recovery point objective (RPO) and recovery time objective (RTO). RPOs govern how recent your backups must be to maintain business continuity, while your RTO limits how much time it takes to restore data and how much downtime you can handle. Your BDR must include how often backup procedures will occur, where data will be stored, and who has access. Ensure that backups are regularly tested and actually restore data. Testing a BDR plan is usually too technical and complex for SMBs, so hiring a reputable managed IT services provider (MSP) is necessary in any BDR plan. A healthy BDR plan helps you overcome any risk of a possible IT-related interruption of business operations and limits downtime costs. To avoid losing your data to hackers, system failures, or disasters, secure backup copies of your data both locally and offsite in the cloud. Combining both of these strategies into a single plan guarantees that your data will survive any disaster and will be restored quickly. Once a thorough BDR plan is implemented, unforeseen and damaging events pose significantly lower risks, regulatory compliance becomes more manageable, and cybersecurity is stronger. Business continuity – Companies that neglect to backup their files and lose them in a disaster will have a hard time surviving the year. Client trust - If your company is housing important information for your customers, then be ready to recover that data whenever necessary to avoid legal issues. In order for your business to succeed, you should have a BDR plan in place that protects you from any kind of catastrophe so you can ensure your company thrives no matter what comes your way. USWired can offer you a complete range of backup and disaster recovery solutions tailored specifically to your business' IT needs. Contact us now and get started with your very own BDR plan.